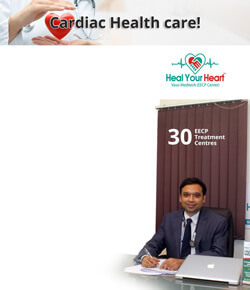 The Terms & Conditions made by HEAL YOUR HEART APP shall apply to all visits and use of Services provided through our web site and Application on any mobile and laptop platform. Members shall use the Services of this APP, subject to acceptance in full, of the Conditions mentioned herein below and any other conditions as specified by HEAL YOUR HEART App from time to time on the MOBILE and LAPTOP Application and on the WEBSITE. By using the Site, the Members signify their acceptance to these Conditions in full and agree to be bound by them. 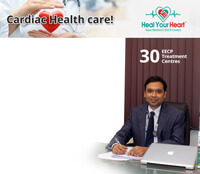 "(HEAL YUOR HEART App)" means HEAL YOUR HEART Vaso-Meditech EECP centers a unit of Vaso-Meditech Private Limited, having its registered office at No 4/77, Thathai Periyar St.,East coast Road, Neelangarai Chennai-600115, a private limited company registered under the provisions of the Companies Act, 1956 and hereafter referred to as HEAL YOUR HEART App providing web and mobile& Laptop based digital platform to enable telemedicine service to needy patients. "Service" refers to any service provided by HEAL YUOR HEART App through the Site or the Applications to any Member who has accepted the Conditions. "User Account" means an account which shall be opened by any Member using the Site or the Application and used in order to access the Service provided by HEAL YUOR HEART App through the Site or Application. Application means : Using the Heal your heart app through mobile or laptop. 1.2.1 The Conditions apply to any and all uses of the Site or the Application by a Member. 1.2.2 Access to the Services shall be deemed that all Terms and Conditions are accepted in full. No Member is entitled to accept a part of the Conditions. If a Member does not agree to the Conditions, such Member shall not be allowed to use the Services. 1.2.4 In the event that any Member fails to comply with any of the Conditions, HEAL YOUR HEART App reserves the right, but not the obligation at its own discretion, to withdraw the User Account in question and suspend or withdraw all Services to that Member without notice. 1.2.5 These Conditions are intended to create binding rights and obligations between the Members and Heal your Heart in accordance with the Indian Contract Act, 1872 and all other applicable laws. 1.3.1 HEAL YOUR HEART App reserves the right to change, modify or amend any or all the Conditions at any time without any prior notice. In addition, HEAL YUOR HEART App may vary or amend the Services provided through the Site or the Application, functionality of the Site and/ or the Application and/ or the "look and feel" of the Site and / or the Application at any time without notice and without any liability towards the Members. 1.3.2 Any modification to the Site, Application, Services or Conditions shall come into effect as soon as such changes are published on the Site and / or the Application. 1.3.3 Members shall be deemed to have accepted any varied Conditions in the event that they use any Services offered through the Site or the Application following publication of the varied Conditions. However, Changes will not apply to any bookings which have been made prior to publication of the varied Conditions. Responsibility for the patient care should remain with the patient's local clinician, if you have one, as does the patient's medical record. Improved access to medical care by enabling a patient to remain in his/her local healthcare site (i.e. home) while the physician consults and obtains test results at distant/other sites. Obtaining expertise of a specialist. It is essential that we have your correct email address and phone no for online consultation. You will also receive a confirmation message regarding your consultation timing. Once paid, consultation fees are non-refundable. We reserve the right to cancel or postpone the consultation. If we cancel or postpone a consultation we will use reasonable efforts to reschedule the cancelled or postponed the consultation and once paid,the fees become non-refundable. If you are not 100% satisfied with online consultation with any of our specialist, we will not be refunding the amount for the consultation taken. We presently accept credit/debit cards from Visa, MasterCard, Amex Card &Net banking .The payment amount charged to your credit or debit card will be processed in the payment currency displayed on the checkout page. The amount you pay in your selected currency may be based on a currency exchange rate, which is set at that time of purchase. This amount may fluctuate based on changes in the exchange rate between your selected currency and USD.If you are unable to pay using one of the payment types available on our website, please contact our office at 91-9003070065 to determine whether any alternate payment arrangements may be available.. Delays in medical evaluation and consultation or treatment may occur due to deficiencies or failures of the equipment which may include poor video and data quality. Lack of access to complete medical records may result in adverse drug interactions or allergic reactions or other negative outcomes. You understand that the laws that protect privacy and the confidentiality of medical information also apply to telemedicine. You understand that telemedicine may involve electronic communication of your personal medical information to medical practitioners who may be located in other areas, including out of state or out of country. You understand that you may expect the anticipated benefits from the use of telemedicine, but that no results can be guaranteed or assured. You understand that all information will be part of your medical record and available to you by printing the summary from the visit. This information will have the same restrictions on dissemination without your consent. Except to the extent already relied upon, you understand you may withdraw your consent at any time by emailing info@healurheart.com to withdraw your consent and inactivate your account. When a valid court order is issued for medical records. 2.1.2 Neither HEAL YOUR HEART APP nor its Site or Application provides any medical services, which can replace physical examination and diagnosis of disease in the standard out -patient or inpatient care. The information provided by HEAL YOUR HEART App) correspond to providing web and electronic device based platform, which enables information facilitating the patients to understand their current condition and help them to make decision on their illness and seek proper treatment. 2.1.3 Neither HEAL YOUR HEART App provides medical services nor is a medical institute/hospital and does not intend to provide medical services or act in any way as an Hospital. 2.1.4 HEAL YOUR HEART App does not have any say to any of its member agreeing to or not agreeing to advice provided during the consultation. The Members are independent entities and their decision to follow or not to follow the advice provided during the consultation at three own discretion. The contract with (HEAL YOUR HEART App) pertains only with use of data and information provided by the members. This Facility of providing information does not suggest or imply, any intention or attempt by HEAL YUOR HEART App), to coerce or force Member, to offer or request or accept the Service or treatment suggested by them. 2.1.5 HEAL YOUR HEART App shall charge Facilitation Fees for providing Services, through the Site and / or Application. 2.2.1 In order to access the information of each Member must create a User Account and shall agree to provide any personal information requested by HEAL YOUR HEART App. Use of the Site and Application is limited to those over the age of 18 years at the time of registration and in sound state of mind. 2.2.2 Members agree and accept that all of the information provided to HEAL YOUR App) while setting up their User Account and at any other time shall be true, correct, complete and accurate in all respects. Members also agree that any information supplied to HEAL YOUR HEART App or posted on the Site and / or Application in connection with patients health and diagnostic procedure shall be true, accurate and complete. 2.2.3 Members agree and understand that HEAL YOUR HEART App shall not undertake any verification to confirm the accuracy of any information provided by the Members on the Site and / or the Application with respect to their health. HEAL YOUR HEART App shall not be liable to any Member in the event that any information provided by the Member is false, incomplete, inaccurate, misleading or fraudulent. Members shall provide and disclose only true and genuine information about personal identity and clinical information. 2.2.4 Unless expressly agreed by HEAL YOUR HEART App), Members are limited to one User Account per Member. No User Account may be created on behalf of or in order to impersonate another person. If any person is found impersonating another person then HEAL YOUR HEART App) reserves the right to withdraw and / or suspend such User Account. In the event of any problem with the service or any of its content, you agree that your sole remedy is to cease using the service. Under no circumstances shall facility, any facility licensor or supplier, or any third party who promotes the service or provides you with a link to the service be liable in any way for your use of the service or any of its content, including, but not limited to, any errors or omissions in any content, any infringement by any content of the intellectual property rights or other rights of third parties, or for any loss or damage of any kind incurred as a result of the use of any content. Under no circumstances shall facility, its licensors or suppliers of non-medical services or any third party who promotes the service or provides you with a link to the service, be liable for any punitive, exemplary, consequential, incidental, indirect or special damages (including, without limitation, any personal injury, lost profits, business interruption, loss of programs or other data on your computer or otherwise) arising from or in connection with your use of the service, whether under a theory of breach of contract, negligence, strict liability, malpractice or otherwise, even if we or they have been advised of the possibility of such damages. 6.1.1 The format and content included on the Site and the Application, such as text, graphics, logos, button icons, images, audio clips, digital downloads, data compilations, and software, is the property of HEAL YOUR HEART App), its affiliates or its content suppliers and are protected under applicable copyright, trademark and other proprietary rights laws. 6.1.2 All rights are reserved in relation to any registered and unregistered trademarks (whether owned or licensed to Heal Your Heart App which appear on the Site and the Application. 6.1.3 The Site and Application or any portion of the Site and the Application may not be reproduced, duplicated, copied, sold, resold, visited, or otherwise exploited for any commercial purpose without the express written consent of HEAL YOUR HEART App). No person is entitled to systematically extract and/or re-utilise parts of the contents of the Site and Application without the express written consent of HEAL YOUR HEART App). In particular, the use of data mining, robots, or similar data gathering and extraction tools to extract (whether once or many times) for re-utilization of any substantial parts of this Site and / or of Application is strictly prohibited. 6.1.4Members of this Site and Application shall not upload, distribute or publish through the Site and / or Application, any content which may contain viruses or computer contaminants (as defined in the Information Technology Act 2000 or such other laws in force in India at the relevant time) which may interrupt, destroy, limit the functionality or disrupt any software, hardware or other equipment belonging to Heal Your Heart App or that aids in providing the services offered by Heal Your Heart App. 6.1.5 Members of this Site and Application shall not disseminate or upload viruses, programs, or software whether it is harmful to the Website or not. Additionally, Members shall not impersonate another person or user, attempt to get a password, other user account information, or other private information from a user, or harvest email addresses or other information. No user of the Site and / or Application shall publish on the Site and / or Application any defamatory or offensive information or information that may be damaging to the creditability of the provider. HEAL YOUR HEART App) shall remove any information that is contrary to this policy as soon as it becomes aware thereof (but HEAL YOUR HEART App) does not actively monitor the site and / or Application for such information). These terms shall be governed by the law of India and any disputes arising in relation to these terms shall be subject to the jurisdiction of the Courts at Chennai.